Zafira A (98-05). Zafira B (05-12). Astra F (92-98). Astra G (98-04). Astra H (04-10). Astra J (10->). Ambient Air Temp Sensor. Cascada (13->). GENUINE VAUXHALL / OPEL TEMPERATURE SENSOR. 1 Year Vauxhall Warranty Included. Manufacturer Part Number 3439088. GENUINO VAUXHALL / OPEL SENSORE DI TEMPERATURA. Fattura con IVA inclusa. B13DTC ENGINE EXHAUST TEMP SENSOR. PART NUMBER - 55581654. VAUXHALL CORSA E 2015-2019 REG 1.3 CDTI. PANELS MAY HAVE ODD LIGHT SCRATCH. Inverness,Oban - PH 33, PA20-49, PA60-80, KA28, Arran - KA27, Isle Of Whight - PO30-41. B13DTC ENGINE EXHAUST DPF SENSOR. PART NUMBER - 55489647. VAUXHALL CORSA E 2015-2019 REG 1.3 CDTI. PANELS MAY HAVE ODD LIGHT SCRATCH. Inverness,Oban - PH 33, PA20-49, PA60-80, KA28, Arran - KA27, Isle Of Whight - PO30-41. Manufacturer Part Number 97227219. GENUINO VAUXHALL / OPEL SENSORE DI TEMPERATURA. Fattura con IVA inclusa. B13DTC & B13DTE ENGINE TEMPERATURE SENSOR. PART NUMBER - 55581650. VAUXHALL CORSA E 2015-2019 REG 1.3 CDTI. PANELS MAY HAVE ODD LIGHT SCRATCH. Inverness,Oban - PH 33, PA20-49, PA60-80, KA28, Arran - KA27, Isle Of Whight - PO30-41. FOR VAUXHALL ASTRA. This is an original quality part manufactured by Delphi. Part specifications. FOR VAUXHALL AMPERA. Vehicle compatibility. This is an original quality part manufactured by Lemark. Multiple choices exist for:VAUXHALL VECTRA 1.8 Coolant Temperature Sensor. FOR VAUXHALL VECTRA. Length:37 mm. Vehicle compatibility. Quantity Included:1. Manufacturer Part Number 55563530. GENUINO VAUXHALL / OPEL SENSORE DI TEMPERATURA. Fattura con IVA inclusa. Part Number: LAT025 (Ref.Only). Make: VAUXHALL. AIR TEMP SENSORS. Product Type: AIR TEMP SENSORS. This is an original quality part manufactured by Lemark. FOR VAUXHALL INSIGNIA. Length:37 mm. Housing Colour:Black. Vehicle compatibility. Height:22 mm. Width:56 mm. Air Temperature Sensor & Loom. Corsa Energy (MK2 (C) (A01)) (ABS). 998cc 60/45 12v. Exterior Colour Code. Interior Trim Code. Air Conditioning. The table below contains further information. This item is a used vehicle part and as such may have signs of general wear/handling. Astra Envoy DTI (MK4 (G) (T98)). Exterior Air Temperature Sensor. Exterior Colour Code. Interior Trim Code. Air Conditioning. The table below contains further information. This item is a used vehicle part and as such may have signs of general wear/handling. Part Number: LAT014 (Ref.Only). Model: VECTRA. VAUXHALL VECTRA 2.5 i GSi 2.5/2498 3/1998-7/2000 6/4 Petrol/Hatchback 143/194 Front Wheel Drive X 25 XE. VAUXHALL VECTRA 2.5 i GSi 2.5/2498 5/1998-9/1999 6/4 Petrol/Estate 143/194 Front Wheel Drive X 25 XE. FOR VAUXHALL ZAFIRA. This is an original quality part manufactured by First Line. Vehicle compatibility. Part Number: LAT008 (Ref.Only). Make: VAUXHALL. AIR TEMP SENSORS. Product Type: AIR TEMP SENSORS. VAUXHALL ASTRA Bosch Sensor coolant temperature 0281002259 1.7 ltr 01/98-01/05. TIE ROD AND STABILISER LINK. VAUXHALL ASTRA Mk IV (G) (G) 1.7 TD. APEC WEAR INDICATOR, BRAKE PAD. BOSCH PRODUCTS. BOSCH IGNITION & FUEL PARTS. 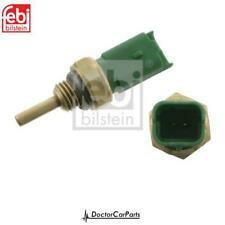 VAUXHALL ASTRA Bosch Sensor coolant temperature 0280130107 1.4 ltr 01/91-01/98. TIE ROD AND STABILISER LINK. VAUXHALL ASTRA Mk III (F) (F) 1.4 i. APEC WEAR INDICATOR, BRAKE PAD. BOSCH PRODUCTS. BOSCH IGNITION & FUEL PARTS. VAUXHALL CORSA Bosch Sensor coolant temperature 0280130093 1.2 ltr 01/92-01/00. TIE ROD AND STABILISER LINK. VAUXHALL CORSA Mk I (B) (B) 1.2 i. APEC WEAR INDICATOR, BRAKE PAD. BOSCH PRODUCTS. BOSCH IGNITION & FUEL PARTS. VAUXHALL ASTRA Bosch Sensor coolant temperature 0280130122 1.7 ltr 01/10-01/00. TIE ROD AND STABILISER LINK. VAUXHALL ASTRA Mk VI (J) (J) 1.7 CDTi. APEC WEAR INDICATOR, BRAKE PAD. BOSCH PRODUCTS. BOSCH IGNITION & FUEL PARTS. THERMOSTAT HOUSING 12326A. ASTRA GTC 1.4 PETROL ENGINE. Vauxhall Vectra B. Outside air temperature sensor. Good working condition. FOR VAUXHALL VIVARO. This is an original quality part manufactured by Febi. Weight:0.020 kg. Part specifications. Vehicle compatibility. Quantity Included:1. This is an original quality part manufactured by Lemark. Multiple choices exist for:VAUXHALL CORSA 1.2,1.4,1.6 Coolant Temperature Sensor. FOR VAUXHALL CORSA. Length:37 mm. 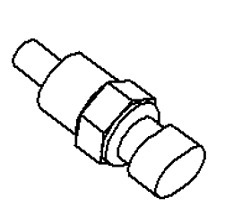 Connector Shape:Oval. Vehicle compatibility. VAUXHALL CORSA Bosch Sensor coolant temperature 0281002169 1 ltr 01/92-01/00. TIE ROD AND STABILISER LINK. VAUXHALL CORSA Mk I (B) (B) 1 i 12V. APEC WEAR INDICATOR, BRAKE PAD. BOSCH PRODUCTS. BOSCH IGNITION & FUEL PARTS. VAUXHALL CORSA Bosch Sensor coolant temperature 0281002170 1.4 ltr 01/00-01/06. TIE ROD AND STABILISER LINK. VAUXHALL CORSA Mk II (C) (C) 1.4 Twinport. APEC WEAR INDICATOR, BRAKE PAD. BOSCH PRODUCTS. BOSCH IGNITION & FUEL PARTS. This is an original quality part manufactured by Lemark. Length:37 mm. Height:22 mm. Width:56 mm. Vehicle compatibility. Quantity Included:1. Thread Size:N/A. Part Number: LAT018 (Ref.Only). Make: VAUXHALL. AIR TEMP SENSORS. Product Type: AIR TEMP SENSORS. Multiple choices exist for:VAUXHALL ZAFIRA 1.6,1.8 Water Temperature Sensor. FOR VAUXHALL ZAFIRA. This is an original quality part manufactured by Delphi. PART CHOICE ALERT. Part specifications. FOR VAUXHALL MOVANO. This is an original quality part manufactured by First Line. This is an original quality part manufactured by Lemark. Multiple choices exist for:VAUXHALL CORSA 1.3 Coolant Temperature Sensor. FOR VAUXHALL CORSA. Length:39 mm. Connector Shape:Oval. Width:61 mm. This is an original quality part manufactured by Delphi. Length:19 mm. Part specifications. Q8026Q, Q8029Q, Q8033Q, Q8034Q. Vehicle compatibility. FOR VAUXHALL VECTRA. This is an original quality part manufactured by Febi. Length:63 mm. Weight:0.025 kg. Part specifications. Number Of Ports:2. Vehicle compatibility. Part Number: LAT017 (Ref.Only). Model: VIVARO. VAUXHALL VIVARO 2.0 16V 2.0/1998 8/2001-2/2006 4/4 Petrol/Bus 88/120 Front Wheel Drive F4R 720. VAUXHALL VIVARO 2.0 16V 2.0/1998 8/2001-2/2006 4/4 Petrol/Box 88/120 Front Wheel Drive F4R 720. Multiple choices exist for:VAUXHALL INSIGNIA 2.0 Coolant Temperature Sensor. FOR VAUXHALL INSIGNIA. Part Number: LAT012 (Ref.Only). Make: VAUXHALL. AIR TEMP SENSORS. Product Type: AIR TEMP SENSORS. Number of poles 2. FOR VAUXHALL COMBO. Thread Size:3/8" x 18 NPTF. Length:37 mm. Vehicle compatibility. Housing Colour:Black. Width:56 mm. Connector Shape:Oval. FOR VAUXHALL INSIGNIA. This is an original quality part manufactured by Febi. Weight:0.015 kg. Part specifications. Reference Number: 09152245, 9152245, 90477289, 01236284, 1236284, 01236307, 1236307, 4616173. VAUXHALL ASTRA F MK3 1992-1998. VAUXHALL ASTRA G MK4 1998-2004. VAUXHALL ASTRA H MK5 2004-. VAUXHALL CORSA B 1993-2001. Multiple choices exist for:VAUXHALL VECTRA 1.8 Water Temperature Sensor. FOR VAUXHALL VECTRA. This is an original quality part manufactured by Delphi. PART CHOICE ALERT. Part specifications. FOR VAUXHALL VX220. This is an original quality part manufactured by Delphi. Length:19 mm. Part specifications. Vehicle compatibility.